Tucked away in northeast Ann Arbor near the quaint village of Dixboro, the University of Michigan’s Matthaei Botanical Gardens is a hidden gem of its own. There’s a series of nature trails, a farm that explores sustainable food practices, and a conservatory with plants from three major life and climate zones, including some of the coolest cactus displays you’ll ever see. There’s also a charming children’s garden with an oversized bird’s nest where kids can get “hatched,” a butterfly and hummingbird garden, and a magical creatures area with fairies and trolls. But from sometime in May through Labor Day, take a step out the conservatory’s back door, make a right turn, and pass through a wooden gate to enter another tiny world. 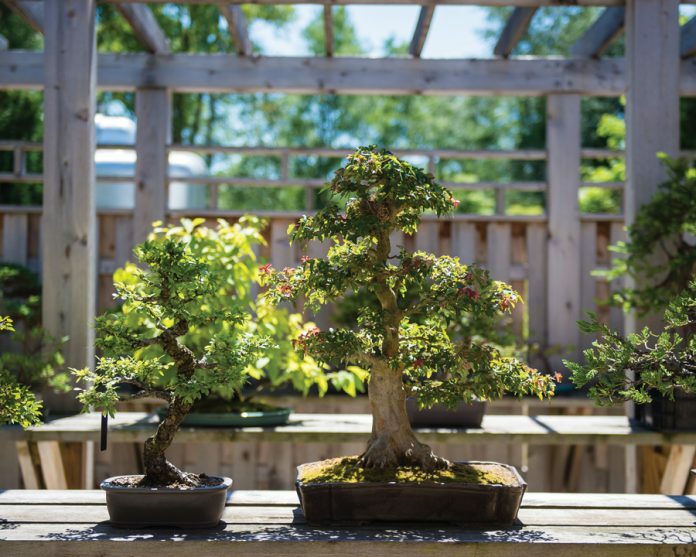 Here, you’ll find a bonsai and penjing garden with more than 70 trees that have been painstakingly cultivated to remain small through pot confinement and crown and root pruning. The collection of this ancient art form began in 1977 when the estate of Dr. Maurice Seevers, former chair of the U-M Department of Pharmacology, donated his bonsai collection. The collection has grown to include Japanese and Chinese trees, plus ones with American and European influences. Matthaei Botanical Gardens, 1800 N. Dixboro Rd., Ann Arbor; 734-647-7600. A whole new world of handcrafted goods and unique treasures awaits you. The candle and skincare brand opens its studio from 11 a.m. to 3 p.m. every Saturday so customers can see what its working on and shop its product line. Complimentary coffee, wine, and small bites are available as part of the shopping experience. Detroit Rose, 1440 Gratiot Ave., Detroit. 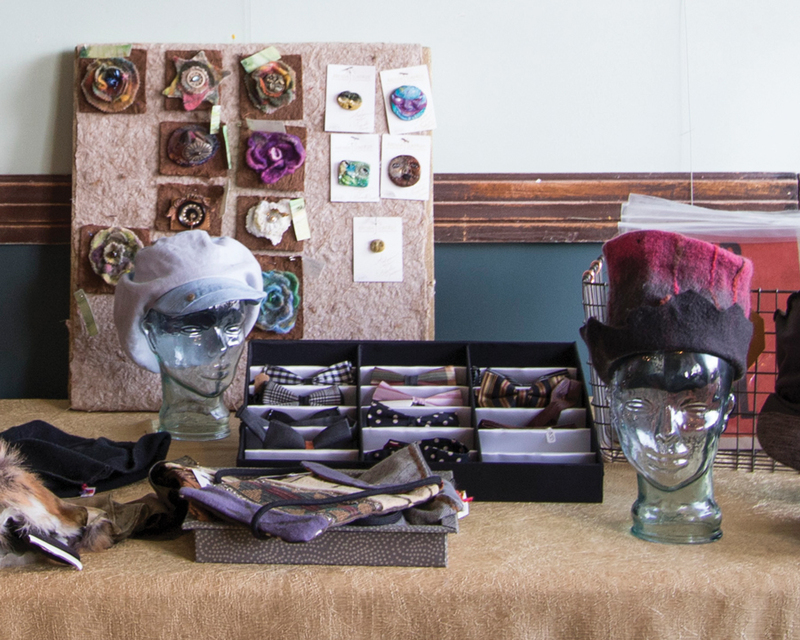 A gallery, learning space, and boutique, Detroit Fiber Works sells pieces by Detroit artists, such as stained glass figurines, leather card cases, handbags, hand-poured candles, and floral bouquets. The space also offers a free crochet event every second and fourth Wednesday of the month. Detroit Fiber Works, 19359 Livernois Ave., Detroit; 313-610-5111. While you may have drove by the unique Hamtramck-based boutique, it’s when you walk inside that you discover its true treasures. From authentic 1960s mod hats to a needlepoint bag from 1976, there’s plenty of vintage finds. Tekla Vintage, 9600 Joseph Campau Ave., Hamtramck; 313-638-2768. The Traveling Pants Co. is a mobile boutique truck that offers a selection of women’s clothing and accessories. The truck, which can be visited at its permanent location or rented out, even features a dressing room with a full-length mirror. The North End Collective, 6513 Woodward Ave., Detroit. For those who don’t frequent Clarkson often, you may be surprised to discover the homey space that is Union General Store. Along with its selection of freshly baked cupcakes, the store also offers home goods, kids items, and bath and body gifts. Union General Store, 50 S. Main St., Clarkston; 248-620-3800. This women’s boutique carries an assortment of lingerie, undergarments, accessories, coats, and music by female recording artists. One Facebook review describes the store as a “hidden gem.” Vera Jane, 3011 W. Grand Blvd. ; Detroit; 313-875-4588. The Moonbeam Cabin at the El Moore Lodge in Detroit. From weekend getaways to month long vacation, metro Detroit offers a selection of unique retreats. Started as a project by students in Cranbrook’s architecture master’s program, the 900-square-foot home was renovated in 2013 as a micro-bed and breakfast. The space features items made by local Detroit craftsmen and artists, including a vibrant mural that wraps around the side of the building’s exterior. Located just a few blocks from Eastern Market, the house is near prime food options, such as Supino’s Pizzeria, Russell Street Deli, and, of course, the weekly farmers market. 2126 Pierce, 2126 Pierce St., Detroit. Self-described as “Southeast Michigan’s most unique historic inn and bed and breakfast,” this Victorian-era getaway features 10 room options, such as creatively named spaces “The Winter Wren,” “The Goldfinch,” and “The Oriole.” Along with its antique charm, the manor has been renovated to include updated amenities, such as whirlpool tubs, central air, cable TV, and Wi-Fi, making it a good pick for both vintage admirers and business professionals. Cobblestone Manor, 3151 University Dr., Auburn Hills. Along with being a residential apartment building, the historic El Moore — the building once featured upscale flats, and was a Depression-era boarding house, among other things — also offers a variety of lodging accommodations. 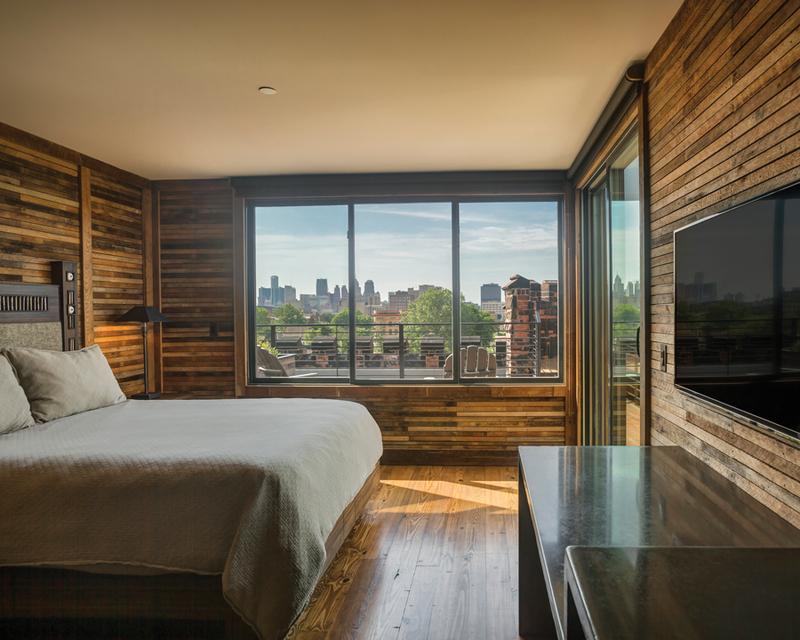 Its Rooftop Urban Cabins, which feature private balconies and a reclaimed design, are especially breathtaking. Specializing in “sustainable urban living,” the building has been decked out in water-saving fixtures, solar panels, and rain water harvesting. El Moore, 624 W. Alexandrine St., Detroit; 313-924-4374; 844-356-6673. With a focus on helping visitors explore Detroit, Corktown-based Hostel Detroit is an educational nonprofit. Hosting its first guests six years ago, the space offers three stocked kitchens, four bathrooms, a library, multiple common areas, parking, a backyard, and both dorm-style and private rooms. Maps, advice for self-guided exploration plans, and tours by local ambassadors are also available. Hostel Detroit, 2700 Vermont St., Detroit. 313-451-0333. Another historic find, this 1849 home was once the tenant’s residence on the private agricultural estate of Woodward Farm owner, Lysander Woodward. The farm, which spanned 425 acres, is no longer in operation today, but visitors can still stay at the mansion. Along with a selection of rooms, which feature the home’s original windows and wood floors, the property also offers a built-in pool, garden, carriage room, and basketball court. Rochester Carriage House, 147 N. Lane, Rochester; 586-764-7275. Now in its 19th year, the annual blessing has evolved into a celebration in its own right during southwest Detroit’s Cinco de Mayo parade. 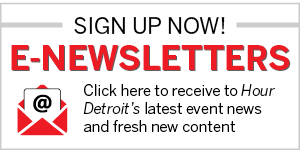 The event brings Detroit’s Latino community together with cars, music, food, breakdancing, and more.